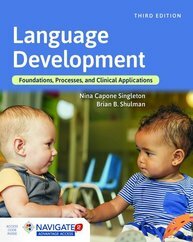 Language Development: Foundations, Processes, and Clinical Applications, Third Edition coalesces the necessary knowledge of language development with evidence and clinical practice. Contributed by experts in the field, the Third Edition provides the student with specific clinical applications using skill-based information related to assessment and intervention. 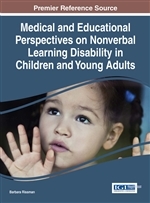 Featuring a chapter dedicated solely to the comprehension of language, this edition also covers language development from unique perspectives, such as multicultural/ lingual home, international adoption, the child with cochlear implants and other sensory devices, and the child with multiple disabilities. Nature is very diverse and hence there exist a lot of differences amongst humans due to their genetic constitution. Learning disabilities, or learning disorders, are an umbrella term for a wide variety of learning problems. Emphasizing real-world utility, this book provides important information for professionals who work with children and youth at risk as well as researchers dealing with the field. 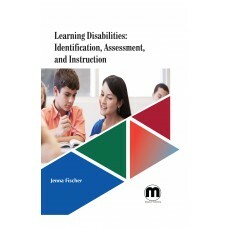 It is intended to examine of assessment methods, preventative measures, intervention, and research with those individuals with learning disabilities. Handbook of Diversity in Special Education studies several aspects of education including an extensive conceptual overview of diversity in education and related issues. It includes definitions of principles of special education, areas of concern and modern issues in education. Provides the reader with insights into the development of its history, so as to understand the necessity for education and diversity in special education. Whether gifted individuals have unique social and emotional needs has been a topic of much debate. 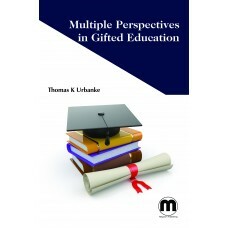 This book is aimed to highlight advances in theories and research related to giftedness and gifted education, note the promising areas for additional research, and propose next steps for improving the quality and utility of empirical work in this important area. 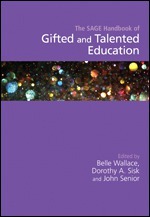 With the increasing interest and awareness about gifted education, this book will be useful for helping teachers, practitioners, and researchers understand how technology has been used in different areas of gifted programming, including learning and development, assessment, curriculum, learning environments, and professional development. SA10-479 Learning Disabilities: From Identification to Intervention. Reviewing the state of the science of learning disabilities (LD) and describing effective educational practices, this authoritative text has been significantly revised and expanded with more than 70% new material. Foremost LD experts identify effective principles of assessment and instruction within the framework of multi-tiered systems of support (MTSS). With a focus on what works in the classroom, the book explores the full range of reading, mathematics, and writing disabilities. It synthesizes knowledge from neuropsychology, cognitive neuroscience, and special and general education. Illustrations include eight color plates. SA10-475 Executive Function in Education: From Theory to Practice. This groundbreaking volume, now revised and updated, has given thousands of educators and clinicians a deeper understanding of executive function (EF) processes in typically developing children and those with learning difficulties and developmental disabilities. The book elucidates how PreK–12 students develop such key capacities as goal setting, organization, cognitive flexibility, working memory, and self-monitoring. Leading experts in education, neuroscience, and psychology explore the links between EF and academic performance and present practical applications for assessment and instruction. Exemplary practices for supporting students with EF difficulties in particular content areas—reading, writing, and math—are reviewed. SA10-475 Assessment of Autism Spectrum Disorder. SA10-470 Early Childhood Special Education. 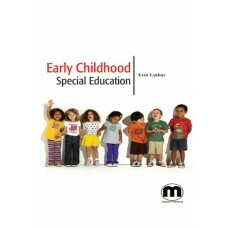 This book covers all the matters and the various aspects of early childhood education systems and schools. 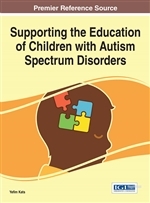 The book also covers the most important things regarding how the special education is administered in the various kinds of schools, what possibilities are there and how it can help kids with certain disabilities and special needs through proper assessment procedures and various tactics. It also covers the various ways and the various factors that affect the special education system and would definitely help in knowing the basics of early childhood special education essentials that may lead to further development of best practices to help kids and adults get better learning skills through specialized systems. SA10-470 Special Educational Needs and Inclusive Practices. Addressing and accepting learners with special educational needs speaks to the value of every child and models understanding,flexibility and acceptance of the differences people will encounter not only in childhood, but throughout life. It provides a wider global overview of the most relevant inclusive education theories. 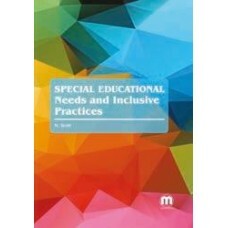 It presents a multifocal perspective on national educational policies and the current approaches to the identification and assessment of special educational needs and the provision of additional supports. SA10-468 Handbook of Arts Education and Special Education: Policy, Research, and Practices. Executive Function in Education: From Theory to Practice. SA10-466 The Dyscalculia Resource Book: Games and Puzzles for ages 7 to 14. SA10-464 Functional Communication Training for Problem Behavior. Early childhood education is a broad term used to describe any type of educational program that serves children in their preschool years, before they are of legal age to enter kindergarten. Early childhood education may consist of any number of activities and experiences designed to aid in the cognitive and social development of preschoolers before they enter elementary school. How and where early childhood education is provided can be very di erent from one state, or even one program, to the next. Early childhood education programs may be designed for three-, four-, or ve-year olds, and they may be provided in childcare, daycare, nursery school, preschool, or pre-kindergarten settings. Early childhood special education teachers work with toddlers and other young learners who require help with disabilities ranging from mild to severe. Physical education teachers who work with students with disabilities create programs and activities best suited to their needs. SA10-460 Early Childhood Special Education. Early childhood is a period of rapid learning and development and nationally recognized as a crucial time for the early identification and support of young children with special needs. Early Childhood Special Education provides the tools and strategies special education teachers and therapists need to work cooperatively and effectively with other professionals. This book presents information on working with diverse cultural groups, technological aids for special education, child development theories and their practical application. 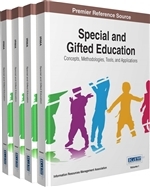 VA08-755 Special and Gifted Education: Concepts, Methodologies, Tools, and Applications, 4-Vols/Set. VA08-707 Medical and Educational Perspectives on Nonverbal Learning Disability in Children and Young Adults. SA10-457 Rona Tutt's Guide to SEND & Inclusion. SA10-456 Interventions for Disruptive Behaviors: Reducing Problems and Building Skills. SA10-456 Word Study in the Inclusive Secondary Classroom: Supporting Struggling Readers and Students with Disabilities. SA10-454 The ABCs of CBM: A Practical Guide to Curriculum-Based Measurement. Curriculum-based measurement (CBM) has been adopted by growing numbers of school districts and states since the publication of this definitive practitioner guide and course text. The second edition presents step-by-step guidelines for using CBM in screening, progress monitoring, and data-based instructional decision making in PreK-12. It describes the materials needed and all aspects of implementation in reading, spelling, writing, math, and secondary content areas. Twenty sets of reproducible CBM administration and scoring guides and other tools are provided; the large-size format and lay-flat binding facilitate photocopying. Purchasers get access to a Web page where they can download and print the reproducible materials. New to This Edition: •Broader grade range—now has a chapter on secondary content areas. •Chapter on early numeracy; expanded content on early reading. •Nearly twice as many reproducible tools, including new or revised administration and scoring guides. •Key updates on graphing and on using online CBM databases. SA10-453 The Oxford Handbook of Deaf Studies in Language. SA10-453 Nurturing Language and Learning: Development of Deaf and Hard-of-Hearing Infants and Toddlers. SA10-453 Integrated Multi-Tiered Systems of Support: Blending RTI and PBIS. Many schools have implemented academic response to intervention (RTI) and schoolwide positive behavioral interventions and supports (PBIS) as separate initiatives. This book provides keys to making these programs more effective, seamless, efficient, and sustainable by combining them into a single multi-tiered system of support (MTSS). Steps and strategies are outlined for integrating data structures, practices, teams, and district systems. Contributing authors present detailed case examples of successful MTSS implementation in three states. In a large-size format with lay-flat binding, the book features 27 reproducible checklists and evaluation tools. Purchasers get access to a companion website where they can download and print the reproducible materials plus other helpful resources. SA10-452 Learning Tracks: Planning and Assessing Learning for Children with Severe and Complex Needs. SA10-452 Promoting Successful Transition to Adulthood for Students with Disabilities. SA10-451 Working with Students with Disabilities: Preparing School Counselors. SA10-451 The Activity Kit for Babies and Toddlers at Risk: How to Use Everyday Routines to Build Social and Communication Skills. 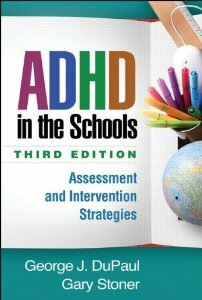 SA10-451 ADHD in the Schools: Assessment and Intervention Strategies. SA10-450 Achieving Outstanding Classroom Support in your Secondary School: Tried and Tested Strategies for Teachers and SENCOs. SA10-447 Radical Inclusive Education: Disability, Teaching and Struggles for Liberation. In China, talent development has been one of the key areas of attention in national focus for the development of science and technology, education, and other areas over the past three decades, and it is especially emphasized in the national outline for medium- and long-term educational reform and development. 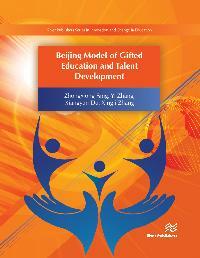 Beijing is the leading city in educational reform, especially in the area of gifted education in mainland China. Over the past 35 years, through constant exploration and research, a comprehensive gifted education system called the Beijing Model of Gifted Education and Talent Development (BMGETD) has gradually been developed. This book presents a summary of the educational practices used in, and the research done on the BMGETD over these decades. 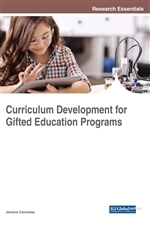 This includes several patterns for gifted education, such as acceleration in special classes, special classes without acceleration, enrichment within regular classes, and a joint program among high schools, universities, and professional academic institutions. 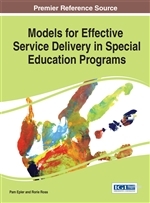 VA08-672 Models for Effective Service Delivery in Special Education Programs. SA10-450 How to Prevent Special Education Litigation: Eight Legal Lesson Plans. SA10-449 Making the Common Core Writing Standards Accessible Through Universal Design for Learning. SA10-448 Early Literacy Development in Deaf Children. SA10-447 Promoting Academic Success with English Language Learners: Best Practices for RTI. SA10-447 The Power of Peers in the Classroom: Enhancing Learning and Social Skills. SA10-445 Assessment for Intervention: A Problem-Solving Approach. SA10-442 Inclusive Practice in the Primary School: A Guide for Teachers. SA10-442 Teaching Reading Comprehension to Students with Learning Difficulties. SA10-441 Beating Dyspraxia With a Hop, Skip and a Jump: A Simple Exercise Program to Improve Motor Skills at Home and School. SA10-440 A Parent's Guide to Asperger Syndrome and High-Functioning Autism: How to Meet the Challenges and Help Your Child Thrive. SA10-439 Understanding and Responding to the Experience of Disability. The Power of Peers in the Classroom: Enhancing Learning and Social Skills. Teaching Reading Comprehension to Students with Learning Difficulties, Second Edition. 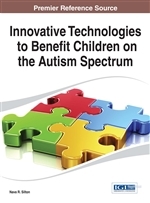 VA08-621 Innovative Technologies to Benefit Children on the Autism Spectrum. VA08-619 The SAGE Handbook of Emotional and Behavioral Difficulties. 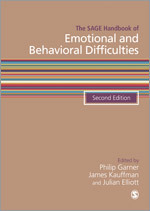 This is a substantial revision of The Handbook of Emotional & Behavioural Difficulties, first published in 2004. The content has been completely revised and refreshed by a new editorial team led by Phil Garner. This new edition includes a thorough revision of existing content which, together with additional material, brings the volume firmly up-to-date, and offers guidance and recommendations for future research and practice. The Handbook includes new chapters on: - Causal factors in EBD - The influence and role of social contexts - ADHD - Teacher knowledge - Social support - Engagement with parents This new text has an impressive array of UK, US and other international contributors. The book will be indispensable for undergraduate and Master's level students pursuing Teacher Training, Educational and Developmental Psychology and Special Education courses. It will also be valuable to social workers, counsellors, educational psychologists and other practitioners in relevant fields. VA08-583 The SAGE Handbook of Special Education, 2-Vols/Set. 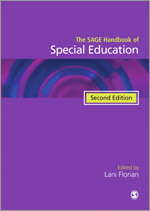 The second edition of The SAGE Handbook of Special Education provides a comprehensive overview of special education, offering a wide range of views on key issues from all over the world. The contributors bring together up-to-date theory, research and innovations in practice, with an emphasis on future directions for the role of special education in a global context of inclusion. This brand new edition features: • New chapters on families, interagency collaboration and issues of lifelong learning • The UN Convention on the Rights of Persons with Disabilities • Policy reform proposals • Equity and social justice in education • The impact of new thinking on assessment • Issues and developments in classification • The preparation and qualifications that teachers need The Handbook's breadth, clarity and academic rigour will make it essential reading for researchers and postgraduate students, and also for practitioners, teachers, school managers and administrators. SA10-439 Autism: Exploring the Benefits of a Gluten- and Casein-Free Diet. SA10-438 Special Education and the Law: A Guide for Practitioners. SA10-438 Handbook of Learning Disabilities. SA10-437 Teaching Word Recognition: Effective Strategies for Students with Learning Difficulties. SA10-437 ADHD in the Schools: Assessment and Intervention Strategies. SA10-436 Asperger Syndrome: Assessing and Treating High-Functioning Autism Spectrum Disorders. SA10-436 Curriculum-Based Assessment for Instructional Design: Using Data to Individualize Instruction. SA10-436 The Speech-Language Pathologist's Handbook for Inclusive School Practice. Every inclusive school team needs a great SLP who supports communication skills where they’re needed most—in the classroom, as students with disabilities learn and participate alongside their peers. This is the practical, friendly guide SLPs need to go beyond pull-out services and deliver successful communication and language supports as part of an inclusive school team. 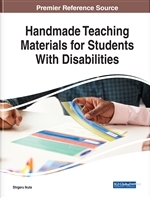 Packed with immediately useful strategies, relatable examples, and invaluable insights from experienced SLPs, this guidebook is key to helping students with disabilities improve their communicative functioning so they can access the curriculum and fully participate in classroom routines and activities. New and seasoned SLPs will turn to this book again and again for clear guidance on succeeding in an inclusive classroom and helping all students reach their full potential. SA10-436 Making Self-Employment Work for People with Disabilities. As self-employment becomes a viable option for more and more adults with significant disabilities, give them realistic, practical guidance and support with the NEW edition of this popular guidebook. Updated with a new and improved assessment approach, more self-employment success stories, and the latest on policy changes and online opportunities, this book is your step-by-step guide to helping adults with disabilities get a small business off to a strong start. You'll discover the nuts and bolts of person-centered business planning, and you'll get concrete, step-by-step strategies for every aspect, from business plans to marketing to finances. A must-have resource for employment specialists, transition professionals, and individuals with disabilities and their families, this book is the go-to guide for turning a small business into a big success. SA10-434 A Practical Guide to Congenital Developmental Disorders and Learning Difficulties. SA10-433 Diagnosis and Correction of Reading Problems. 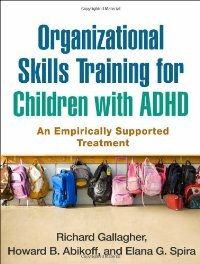 SA10-433 Organizational Skills Training for Children with ADHD: An Empirically Supported Treatment. SA10-432 Reading Intervention in the Primary Grades: A Common-Sense Guide to RTI. SA10-432 An Equal Start? : Providing Quality Early Education and Care for Disadvantaged Children. Early education and care has become a central policy area in many countries. As services expand rapidly, it is crucial to examine whether children from disadvantaged backgrounds receive provision of the highest possible quality. In this original, topical book, leading experts from eight countries examine how early education and care is organised, funded and regulated in their countries. Bringing together recent statistical evidence, the book gives an up-to-date picture of access to services by different groups, providing rich insights on how policies play out in practice, and the extent to which they help or hinder disadvantaged children to receive high quality provision. An equal start? reveals the common tensions and complexities countries face in ensuring that early education and care is affordable, accessible and of high quality. Its critical examination of the potential for better policies ensures that An equal start? will be of interest to academic readers as well as policy makers and practitioners. SA10-432 Hiperactivo, Impulsivo, Distraido--?Me conoces? : Guia Acerca del Deficit Atencional (TDAH) Para Padres, Maestros y Profesionales. SA10-431 Diagnosis and Correction of Reading Problems. SA10-431 Promoting Social Skills in the Inclusive Classroom. Teaching Word Recognition: Effective Strategies for Students with Learning Difficulties, Second Edition. A Parent's Guide to Asperger Syndrome and High-Functioning Autism: How to Meet the Challenges and Help Your Child Thrive. SA10-431 Strategy Instruction for Students with Learning Disabilities. SA10-431 Handbook of Learning Disabilities. SA10-429 Social and Academic Abilities in Children with High-Functioning Autism Spectrum Disorders. SA10-428 The RTI Approach to Evaluating Learning Disabilities. 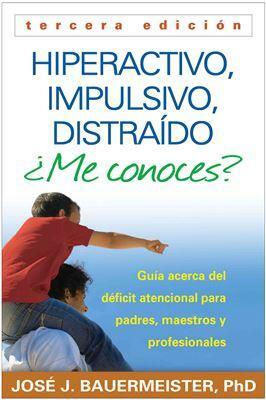 SA10-427 Taking Charge of ADHD: The Complete, Authoritative Guide for Parents. SA10-424 RTI Applications, Vol. 2: Assessment, Analysis, and Decision Making. Once a response-to-intervention (RTI) framework is in place, how can educators determine whether or not interventions are working? This volume focuses on the "response" component of RTI, providing crucial knowledge and hands-on techniques for assessing the effectiveness of RTI practices in grades K-12. The authors show how to select suitable assessment measures, analyze data about academic and behavioral interventions, and make defensible decisions about groups, individual students, and special education eligibility. Professional development strategies are also addressed. Useful reproducible tools are included; the large-size format and lay-flat binding facilitate photocopying. Purchasers also get access to a companion Web page where they can download and print the reproducible materials. SA10-424 RTI Team Building: Effective Collaboration and Data-Based Decision Making. School teams play an essential role in the successful implementation of response to intervention (RTI). This user-friendly book offers a roadmap for creating effective RTI teams and overcoming common pitfalls. The authors discuss the nuts and bolts of planning and facilitating meetings during which data-based decisions are made about screening, interventions, and progress monitoring for individual students (K-6) or the whole school. Ways to develop sustainable team practices and strengthen collaboration are described. In a large-size format with lay-flat binding for easy photocopying, the book includes more than two dozen reproducible planning forms and other handy tools. Purchasers also get access to a companion Web page where they can download and print the reproducible materials. SA10-422 Reading Assessment in an RTI Framework. SA10-422 Response to Intervention and Precision Teaching: Creating Synergy in the Classroom. SA10-419 Reading Assessment in an RTI Framework. From leading experts, this indispensable resource presents a practical model for conducting reading assessments for screening, diagnosis, and progress monitoring in each of the three tiers of response to intervention (RTI). K-8 teachers and school personnel are guided to use norm-referenced, informal, and curriculum-based measures to assess key components of reading development and make informed choices about instruction. The book describes how to survey existing assessment practices in a school and craft a systematic plan for improvement; reproducible tools include a 10-page RTI Assessment Audit that can be downloaded and printed in a convenient 8 1/2" x 11" size. See also Assessment for Reading Instruction, Second Edition, which explains the fundamentals of assessment and provides essential hands-on tools. SA08-475 Assessing Intelligence in Children and Adolescents: A Practical Guide. SA10-456 More Than Words Guidebook. SA10-422 Teacher's Guide to Effective Sentence Writing. This practical book provides explicit directions for teaching sentence-level skills to students who have difficulties in this area. The author explains the key role of sentence combining in the writing process and presents effective techniques for instruction and assessment. Numerous sample lessons, practice activities, planning tips, and grammatical pointers make it easy for teachers to incorporate sentence combining and construction into the writing curriculum at all grade levels (2–12). Accessible and engaging, the book helps teachers and students experiment with different ways to arrange thoughts and produce meaningful written work. SA10-422 Inclusive Instruction: Evidence-Based Practices for Teaching Students with Disabilities. SA10-419 Universal Design for Learning in the Classroom: Practical Applications. Clearly written and well organized, this book shows how to apply the principles of universal design for learning (UDL) across all subject areas and grade levels. The editors and contributors describe practical ways to develop classroom goals, assessments, materials, and methods that use UDL to meet the needs of all learners. Specific teaching ideas are presented for reading, writing, science, mathematics, history, and the arts, including detailed examples and troubleshooting tips. Particular attention is given to how UDL can inform effective, innovative uses of technology in the inclusive classroom. This title is part of the What Works for Special-Needs Learners Series, edited by Karen R. Harris and Steve Graham. SA10-417 Preparing Effective Special Education Teachers. SA10-417 An Early Start for Your Child with Autism: Using Everyday Activities to Help Kids Connect, Communicate, and Learn. Cutting-edge research reveals that parents can play a huge role in helping toddlers and preschoolers with autism spectrum disorders (ASD) connect with others and live up to their potential. This encouraging guide from the developers of a groundbreaking early intervention program provides doable, practical strategies you can use every day. Nearly all young kids-including those with ASD-have an amazing capacity to learn. Drs. Sally Rogers, Geraldine Dawson, and Laurie Vismara make it surprisingly simple to turn daily routines like breakfast or bath time into fun and rewarding learning experiences that target crucial developmental skills. Vivid examples illustrate proven techniques for promoting play, language, and engagement. Get an early start-and give your child the tools to explore and enjoy the world. SA10-415 Enhancing Instructional Problem Solving: An Efficient System for Assisting Struggling Learners. This book presents a schoolwide model of instructional support designed to make the most of available time, resources, and personnel-one that is also fully compatible with other problem-solving models, such as response to intervention. The authors provide a comprehensive and cohesive framework for linking assessment and intervention. They show how to interweave evidence-based instruction with targeted professional development and other components that support improved learning outcomes for all K-8 students. Helpful tables describe dozens of research-based assessments and interventions in reading, writing, and math. In a large-size format with lay-flat binding to facilitate photocopying, the volume includes more than 20 reproducible worksheets and forms. The companion website features additional reproducibles and supplemental materials for use in conjunction with the book. SA10-415 Inclusive Instruction: Evidence-Based Practices for Teaching Students with Disabilities. SA10-415 An Early Start for Your Child with Autism: Using Everyday Activities to Help Kids Connect, Communicate, and Learn. SA10-414 RTI for Reading at the Secondary Level: Recommended Literacy Practices and Remaining Questions. Grounded in the best current knowledge, this book shows how to implement response to intervention (RTI) in middle and high school contexts. Detailed guidelines are presented for teaching reading comprehension, vocabulary, and other aspects of literacy across the content areas, and for providing effective interventions for students who require additional support. The authors describe RTI procedures that are specifically tailored to the needs of struggling adolescent learners and that take into account the challenges and logistics of secondary-level implementation. The volume features 26 reproducible tools for planning, assessment, progress monitoring, and multi-tiered instruction; the large-size format facilitates photocopying. SA10-413 RTI Applications, Vol. 1: Academic and Behavioral Interventions. This book addresses a crucial aspect of sustaining a response-to-intervention (RTI) framework in a school: selecting interventions with the greatest likelihood of success and implementing them with integrity. Leading RTI experts explain how to match interventions to students' proficiency levels, drawing on cutting-edge research about the stages of learning. Effective academic and behavioral interventions for all three tiers of RTI are described in step-by-step detail and illustrated with vivid case examples. In a large-size format with lay-flat binding for easy photocopying, the book features more than 40 reproducible planning tools and other helpful forms. SA10-412 Vocabulary Instruction for Struggling Students. Addressing a key skill in reading, writing, and speaking, this comprehensive book is grounded in cutting-edge research on vocabulary development. It presents evidence-based instructional approaches for at-risk students, including English language learners and those with learning difficulties. Coverage ranges from storybook reading interventions for preschoolers to direct instruction and independent word-learning strategies for older students. Guidance is provided on using word lists effectively and understanding how word features influence learning. The book also reviews available vocabulary assessment tools and describes how to implement them in a response-to-intervention framework. SA10-412 Preparing Effective Special Education Teachers. What tools are in the toolkit of an excellent special educator, and how can teacher preparation programs provide these tools in the most efficient, effective way possible? This practical, clearly written book is grounded in current research and policy as well as the author's extensive experience as a teacher educator. It identifies what special education teachers need to know to work competently with students with a wide variety of learning challenges and disabilities. Chapters present specific guidelines for helping teacher candidates build critical skills for instruction and assessment, get the most out of field placements, and collaborate successfully with other school personnel and with parents. SA10-408 Teacher's Guide to ADHD. SA10-408 Making Inclusion Work for Students with Autism Spectrum Disorders: An Evidence-Based Guide. SA09-415 Barkley Functional Impairment Scale-Children and Adolescents (BFIS-CA). To diagnose a mental disorder or make a disability determination, clinicians must assess functional impairment-not just the presence of symptoms. Meeting a key need, the Barkley Functional Impairment Scale-Children and Adolescents (BFIS-CA) is an empirically based, norm-referenced tool that exceeds other available scales in its comprehensive coverage of domains of psychosocial impairment. The BFIS-CA is designed to obtain parent reports on possible impairment in 15 different domains of everyday activities for children and teens. The scale typically takes a parent 5-7 minutes to complete. Also included is a follow-up parent interview form for obtaining more information about specific problem areas. Complete instructions for scoring and interpreting the scale are provided. SA09-415 Barkley Deficits in Executive Functioning Scale-Children and Adolescents (BDEFS-CA). The Barkley Deficits in Executive Functioning Scale-Children and Adolescents (BDEFS-CA) is an empirically based tool for evaluating clinically significant dimensions of child and adolescent executive functioning. Evidence indicates that the BDEFS-CA is far more predictive of impairments in daily life activities than more time-consuming and costly traditional EF tests. The BDEFS-CA offers an ecologically valid snapshot of the capacities involved in time management, organization and problem solving, self-restraint, self-motivation, and self-regulation of emotions. Two parent-report forms are included: a long form (10–15 minutes) and a short form (3–5 minutes). There is also a short clinical interview form based on the short-form rating scale, for use in unusual circumstances where a parent is unable to complete a rating scale. Special features include an ADHD risk index in the long form. Complete instructions for scoring and interpreting the scale are provided. SA10-408 Rethinking Learning Disabilities: Understanding Children Who Struggle in School. SA10-408 Explicit Instruction: Effective and Efficient Teaching. Explicit instruction is systematic, direct, engaging, and success oriented-and has been shown to promote achievement for all students. This highly practical and accessible resource gives special and general education teachers the tools to implement explicit instruction in any grade level or content area. The authors are leading experts who provide clear guidelines for identifying key concepts, skills, and routines to teach; designing and delivering effective lessons; and giving students opportunities to practice and master new material. Sample lesson plans, lively examples, and reproducible checklists and teacher worksheets enhance the utility of the volume. SA10-408 Teaching Students with Moderate and Severe Disabilities. SA10-408 Models for Implementing Response to Intervention: Tools, Outcomes, and Implications. Providing a unique "on-the-ground" perspective, this book examines the implementation of three empirically supported response-to-intervention (RTI) models in four different school districts. The book addresses the complexity of putting RTI into place in the elementary grades, showing how the process actually took place and what impact it had on school climates and student learning and behavior. The challenges of systems change are explored and key lessons identified for improving intervention outcomes. Invaluable reproducible tools developed and field tested during the implementation of each model can be downloaded and printed by purchasers in a convenient full-page size. SA10-408 Barkley Deficits in Executive Functioning Scale (BDEFS). SA10-408 Barkley Adult ADHD Rating Scale-IV (BAARS-IV). SA10-408 Treating ADHD and Comorbid Disorders: Psychosocial and Psychopharmacological Interventions. SA10-400 Early Start Denver Model for Young Children with Autism: Promoting Language, Learning, and Engagement. From leading authorities, this state-of-the-art manual presents the Early Start Denver Model (ESDM), the first comprehensive, empirically tested intervention specifically designed for toddlers and preschoolers with autism. Supported by the principles of developmental psychology and applied behavior analysis, ESDM's intensive teaching interventions are delivered within play-based, relationship-focused routines. The manual provides structured, hands-on strategies for working with very young children in individual and group settings to promote development in such key domains as imitation; communication; social, cognitive, and motor skills; adaptive behavior; and play. Implementing individualized treatment plans for each child requires the use of an assessment tool, the Early Start Denver Model Curriculum Checklist. A nonreproducible checklist is included in the manual for reference, along with instructions for use; 8?" x 11" checklists are sold separately in sets of 15 ready-to-use booklets. SA10-399 Adolescents and Adults with Learning Disabilities and ADHD: Assessment and Accommodation. Most of the literature on learning disabilities and attention-deficit/hyperactivity disorder (ADHD) focuses on the needs of elementary-age children, but older students with these conditions also require significant support. Comprehensive and authoritative, this book helps educators and clinicians navigate the maze of laws, policies, and scientific research relating to diagnostic and intervention decision making for adolescents and adults. Leading expert Noel Gregg provides clear guidance on how to conduct and document evidence-based assessments and select appropriate instructional and testing accommodations. Featuring helpful case vignettes, decision-making flowcharts, and coverage of the latest assistive technologies, the book gives special attention to supporting students during the crucial transition from high school to higher education or vocational settings. SA10-397 Response to Intervention: Principles and Strategies for Effective Practice. This bestselling work provides practitioners with a complete guide to implementing response to intervention (RTI) in schools. The authors are leading experts who explain the main components of RTI--high-quality instruction, frequent assessment, and data-based decision making--and show how to use it to foster positive academic and behavioral outcomes for all students. Implementation procedures are described in step-by-step detail. In a large-size format with lay-flat binding to facilitate photocopying, the book includes reproducible planning and implementation worksheets. SA10-397 Growing Up with Autism: Working with School-Age Children and Adolescents. Individuals with autism and their caregivers face unique challenges in later childhood and adolescence. This volume translates research on the needs of this population into practical recommendations for clinicians and educators. The book features vivid case examples and an in-depth, reproducible assessment form. Accessible guidance and hands-on suggestions are provided for supporting positive behavior, communication, and social skills; managing issues related to mental and physical health and sexuality; helping families access services and navigate the legal system; and optimizing the educational and transition planning process. SA10-391 Ordinary Gifted Children: The Power and Promise of Individual Attention. This is the remarkable story of the Hoffmann School for Individual Attention, where the principal believed in a diverse, challenging, and challenged group of students—with extraordinary results. With a definition of gifted that included all children, Ann Hoffmann embraced students that other schools had failed, and she helped them not just to learn, but to learn to love learning. Written with candor and humor by renowned arts educator (and Ann Hoffmann’s daughter) Jessica Hoffmann Davis, this portrait will resonate with anyone who has known or been a champion of children. Ann Hoffmann’s example will inspire and delight the reader, reminding us of what matters most in education and that if we love what we do, anything is possible. This fascinating narrative addresses the timeless features of teaching and learning with important implications for how we think about curriculum, instruction, and classroom life. The story of the Hoffmann School is an insider’s view of a place in time that is more importantly a vision and set of beliefs that can reoccur in anyone’s classroom or adult life. SA10-391 Early Start Denver Model for Young Children with Autism: Promoting Language, Learning, and Engagement. SA10-390 Autism Spectrum Disorders in Infants and Toddlers: Diagnosis, Assessment, and Treatment. Rich with clinical insights, this volume reviews the state of the science of identifying and treating autism spectrum disorders (ASD) in very young children. Leading authorities examine critical research issues and present innovative approaches to assessing social, cognitive, adaptive, communication, and sensory-motor impairments in the first two years of life. Providing a comprehensive discussion of developmental, behavioral, and medical intervention models, the book also addresses ways to support families in coping with an early ASD diagnosis and becoming effective advocates for their children. A special chapter discusses popular but controversial treatments, including how to help families make informed decisions about their use. SA10-388 Instruction and Assessment for Struggling Writers: Evidence-Based Practices. 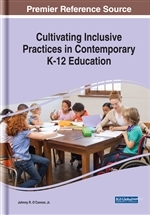 This unique book focuses on how to provide effective instruction to K-12 students who find writing challenging, including English language learners and those with learning disabilities or language impairments. Prominent experts illuminate the nature of writing difficulties and offer practical suggestions for building students' skills at the word, sentence, and text levels. Topics include writing workshop instruction; strategies to support the writing process, motivation, and self-regulation; composing in the content areas; classroom technologies; spelling instruction for diverse learners; and assessment approaches. Every chapter is grounded in research and geared to the real-world needs of inservice and preservice teachers in general and special education settings. SA10-388 High-Functioning Autism/Asperger Syndrome in Schools: Assessment and Intervention. Meeting a growing need for school-based practitioners, this book provides vital tools for improving the academic, behavioral, and social outcomes of students with high-functioning autism or Asperger syndrome (HFA/AS). Research-based best practices are presented for conducting meaningful assessments; collaborating with teachers, students, and parents to prevent school difficulties and problem solve when they occur; and developing effective individualized education programs (IEPs). In a large-size format with lay-flat binding to facilitate photocopying, the book features a wealth of practical prevention and intervention strategies, illustrated with concrete examples. Over a dozen reproducibles include interview forms and observation sheets. SA10-384 Working with Families of Young Children with Special Needs. This user-friendly book presents research-based best practices for serving families of children with special needs from birth to age 6. Expert contributors demonstrate how early intervention and early childhood special education can effectively address a wide range of family concerns, which in turn optimizes children's development and learning. Tightly edited, the volume offers indispensable tools for assessing families; identifying and capitalizing on their strengths; providing information, support, and coaching; collaborating with parents and teachers to address children's functional needs in the context of everyday routines; and coordinating care. Over a dozen reproducible checklists and forms help professionals immediately implement the techniques and strategies described. SA10-381 Autism and Early Years Practice. SA10-405 Authentic Assessment for Early Childhood Intervention: Best Practices. Meeting a crucial need, this book provides clear recommendations for authentic developmental assessment of children from infancy to age 6, including those with developmental delays and disabilities. It describes principles and strategies for collecting information about children's everyday activities in the home, preschool, and community that serves as a valid basis for intervention planning and progress monitoring. Throughout, the book emphasizes the importance of enlisting parents as partners with practitioners and teachers in observation and team-based decision making. Special features of this well-organized, accessible volume include recommendations for developmentally appropriate assessment tools and "Best-Practice Guidepoints" in each chapter that distill key professional standards and practices. SA10-383 Early Start Denver Model Curriculum Checklist for Young Children with Autism. The ESDM Curriculum Checklist is used to comprehensively assess the skills of toddlers and preschoolers with autism across multiple developmental domains and to establish individualized teaching objectives. Administered every 12 weeks, it is an essential component of the intervention program described in the authoritative manual, Early Start Denver Model for Young Children with Autism. Sold in sets of 15 ready-to-use booklets. SA10-378 Understanding and Promoting Access for People with Learning Difficulties: Seeing the Opportunities and Challenges of Risk. SA10-376 RTI in the Classroom: Guidelines and Recipes for Success. Written expressly for teachers, this book is jam-packed with tools and strategies for integrating response to intervention (RTI) into everyday instruction in grades K-5. Numerous real-world examples connect RTI concepts to what teachers already know to help them provide effective instruction for all students, including struggling learners. Drawing on extensive classroom experience, the authors: Explain the core features of RTI and what they look like in action. Describe evidence-based instructional methods for reading, writing, math, and behavior. Show how to fit assessment and progress monitoring into the busy school day. Present color-coded intervention recipes for all three tiers of RTI implementation. Provide hands-on tools and 50 reproducibles, with a large format and sturdy wire binding for ease of use. SA10-372 Ordinary Families, Special Children: A Systems Approach to Childhood Disability. This popular clinical reference and text provides a multisystems perspective on childhood disability and its effects on family life. The volume examines how child, family, ecological, and sociocultural variables intertwine to shape the ways families respond to disability, and how professionals can promote coping, adaptation, and empowerment. Accessible and engaging, the book integrates theory and research with vignettes and firsthand reflections from family members. SA10-372 The Program Administrator's Guide to Early Childhood Special Education: Leadership, Development, and Supervision. To help them design and manage successful special education programs for young children, readers will also get sample forms for creating IFSPs and IEPs, planning transitions, evaluating staff, and assessing the program as a whole. The ultimate professional development resource for anyone who is or plans to be an early childhood special education administrator, this book uncovers the secrets to effective services, highly qualified staff, and better outcomes for children with special needs. SA10-371 Evaluating Educational Interventions: Single-Case Design for Measuring Response to Intervention. This user-friendly, practical book is the first guide to single-case design written specifically for practitioners using response-to-intervention (RTI) models in schools. It provides essential skills for analyzing and presenting data to support valid educational decision making. Step-by-step explanations and many illustrative examples render complex concepts accessible and applicable to day-to-day work with elementary and secondary students. In a large-size format with lay-flat binding for ease of photocopying, the book includes reproducible graphs and forms. Two hands-on appendices offer clear instructions for summarizing and analyzing data using computer spreadsheets. SA10-370 Handbook of Developmental Disabilities. This authoritative handbook reviews the breadth of current knowledge about developmental disabilities: neuroscientific and genetic foundations; the impact on health, learning, and behavior; and effective educational and clinical practices. Leading authorities analyze what works in intervening with diverse children and families, from infancy through the school years and the transition to adulthood. Chapters present established and emerging approaches to promoting communication and language abilities, academic skills, positive social relationships, and vocational and independent living skills. Current practices in positive behavior support are discussed, as are strategies for supporting family adaptation and resilience. SA10-370 Adolescents and Adults with Learning Disabilities and ADHD: Assessment and Accommodation. SA10-366 Instruction and Assessment for Struggling Writers: Evidence-Based Practices. SA10-376 Children's Comprehension Problems in Oral and Written Language: A Cognitive Perspective. SA10-364 Winning the Study Game: Learning How to Succeed in School. SA10-362 Diagnosis and Correction of Reading Problems. In this highly informative text, Darrell Morris offers detailed, practical guidance based on decades of hands-on experience as a reading clinician and educator. He demonstrates how to conduct a comprehensive diagnostic assessment; interpret reading scores; and provide individualized instruction that takes each student's specific strengths and weaknesses into account. Case studies bring to life the book's one-to-one strategies for struggling beginning readers, older remedial readers (second- to sixth-grade reading levels), and those with severe reading disabilities. Small-group and whole-class applications are discussed, and a special chapter describes an exemplary teacher training approach. Helpful appendices feature ready-to-use assessment tools, book lists, and other reproducibles. SA10-357 Instructional Practices for Students with Behavioral Disorders: Strategies for Reading, Writing, and Math. Presenting a broad range of instructional programs and practices that are proven effective for students with behavioral disorders, this is the first resource of its kind for K-3 teachers and special educators. Described are clear-cut strategies for promoting mastery and fluency in early reading, writing, and math, while tailoring instruction to each student's needs. Grounded in a three-tiered response-to-intervention framework that facilitates data-based assessment, decision making, and progress monitoring, the book includes helpful examples and reproducibles. A special chapter outlines instructional management procedures for enhancing student engagement and promoting positive behavior. SA10-356 Autism Spectrum Disorders in Infants and Toddlers: Diagnosis, Assessment, and Treatment. SA10-355 Social and Communication Development in Autism Spectrum Disorders: Early Identification, Diagnosis, and Intervention. 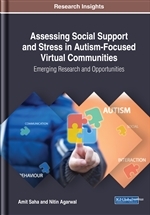 From leading clinical researchers, this book presents important advances in understanding and treating the early social-communication difficulties that are hallmarks of autism spectrum disorders (ASD). It is grounded in current findings on typically and atypically developing infants, toddlers, and preschoolers. Contributors highlight the connections between ASD and impairments in joint attention, communication and language, play, and imitation. They review approaches to supporting children's functioning in each area, along with evidence-based screening and assessment strategies. Valuable advice is offered on matching treatment to individual children's needs. The book also explores the developmental and neurobiological processes that underlie social-communication deficits in ASD. SA10-353 Assessment for Intervention: A Problem-Solving Approach. Problem-solving-based assessment has been recognized as a cornerstone of improved educational outcomes for all children, yet until now no single resource has focused on the full range of problem-solving-based approaches. This book fills a crucial need by bringing together leaders in the field to review the state of the science and provide a handy primer on practice. Presented are a conceptual framework and up-to-date tools for identifying and remediating the many environmental factors that may contribute to academic, emotional, or behavioral difficulties. Coverage includes problem-solving-based applications of such methods as interviews, observations, rating scales, curriculum-based measurement, functional behavioral assessment, and published tests. SA10-351 Getting the Best for Your Child with Autism: An Expert's Guide to Treatment. Each child on the autism spectrum has a unique set of special needs. That's why their parents deserve a smart, caring advocate to help zero in on proven interventions that are right for their child. Bestselling author Bryna Siegel, one of the world's leading authorities on autism, deftly guides parents through the complex maze of treatment options. She shows how to obtain an accurate assessment of a child's strengths and weaknesses, and then provides step-by-step guidance to help parents develop a plan of action tailored to their child's individual learning style, verbal abilities, and social skills. Like no other book on the market, Getting the Best for Your Child with Autism will help parents maximize all of the resources available to help their kids reach their full potential. SA10-404 Science Education for Gifted Learners. SA10-401 School-Based Behavioral Assessment: Informing Intervention and Instruction. This indispensable book helps school practitioners go beyond putting a label on student behavior problems-it shows how to use assessment to partner with teachers and students to develop effective solutions. The authors provide a framework for determining the types of behavioral data that are needed in a given situation, selecting appropriate measures, and interpreting and organizing the results. Case examples tie it all together, demonstrating how different assessment strategies can be used to support positive behavior and monitor progress at the level of the individual, the classroom, or the entire school. In a large-size format with convenient lay-flat binding, the volume features 15 reproducible checklists and forms. SA10-380 Defending and Parenting Children Who Learn Differently: Lessons from Edison's Mother. SA10-346 Promoting Self-Determination in Students with Developmental Disabilities. Growing evidence suggests that self-determination is a significant factor in improving educational and transition outcomes in students with intellectual and developmental disabilities. 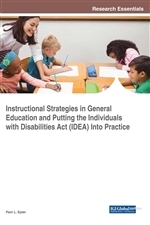 This volume reviews the breadth of available methods for teaching components of self-determination-including choice making, problem solving, decision making, goal setting, self-advocacy, and self-regulated learning-and provides best-practice recommendations that teachers can put to immediate use in the classroom. Grounded in theory and research, the strategies presented here have been shown to enhance students' involvement in educational planning and support them in meeting their goals in school, the workplace, and the community. Special features include reproducible worksheets and forms. SA10-345 Handbook of Developmental Disabilities. SA10-340 Promoting Self-Determination in Students with Developmental Disabilities. SA10-339 Executive Function in Education: From Theory to Practice. This uniquely integrative book brings together research on executive function processes from leaders in education, neuroscience, and psychology. It focuses on how to apply current knowledge to assessment and instruction with diverse learners, including typically developing children and those with learning difficulties and developmental disabilities. The role of executive function processes in learning is examined and methods for identifying executive function difficulties are reviewed. Chapters describe scientifically grounded models for promoting these key cognitive capacities at the level of the individual child, the classroom, and the entire school. Implications for teaching particular content areas—reading, writing, and math—are also discussed. SA10-339 Ordinary Families, Special Children: A Systems Approach to Childhood Disability. SA10-337 Handbook of Research in Emotional and Behavioral Disorders. Bringing together leading researchers, this book integrates current knowledge on EBD in the school setting. Reviewed are a range of evidence-based approaches to identifying, assessing, and intervening with this difficult-to-teach population. School practitioners and educators gain essential tools for developing and evaluating programs to improve student behavior, boost self-control and social skills, and maximize academic achievement. Findings on early intervention and prevention are presented, and implications for policy discussed. Broad in coverage, the volume also emphasizes the importance of interdisciplinary collaboration in service provision and delineates best-practice guidelines for research. SA10-332 Helping Abused and Traumatized Children: Integrating Directive and Nondirective Approaches. SA10-331 Teaching Mathematics to Middle School Students with Learning Difficulties. SA10-329 Imitation and the Social Mind: Autism and Typical Development. From earliest infancy, a typically developing child imitates or mirrors the facial expressions, postures and gestures, and emotional behavior of others. Where does this capacity come from, and what function does it serve? What happens when imitation is impaired? Synthesizing cutting-edge research emerging from a range of disciplines, this important book examines the role of imitation in both autism and typical development. Topics include the neural and evolutionary bases of imitation, its pivotal connections to language development and relationships, and how early imitative deficits in autism might help explain the more overt social and communication problems of older children and adults. SA10-328 Social and Communication Development in Autism Spectrum Disorders: Early Identification, Diagnosis, and Intervention. VA09-283 Encyclopedia of Behavior Modification and Cognitive Behavior Therapy, 3-Vols/Set. Written at a level appropriate for the educated clinical and social science reader, this three-volume encyclopedia provides a thorough examination of the components comprising behavior modification, behavior therapy, cognitive behavior therapy, and applied behavior analysis for both child and adult populations in a variety of settings (e.g., outpatient, institutional, classroom). Although the focus is on technical applications, entries also provide historical context to apprise readers of the parameters in which behavior therapists have worked, including research issues and strategies. Thus, entries on assessment, ethical concerns, theoretical differences, and the unique contributions of key figures in the movement (e.g., B. F. Skinner, Joseph Wolpe, Aaron T. Beck) are also included. SA10-321 Mental Health Medications for Children: A Primer. This indispensable primer is designed specifically for school psychologists and other members of the school-based treatment team, as well as child clinical psychologists. Concise yet comprehensive, the book provides vital information on psychotropic medications that are frequently prescribed to manage children's behavior and enhance learning and academic performance. Effective guidelines are outlined for monitoring medication use, documenting beneficial effects as well as adverse side effects, and facilitating collaboration among health care providers, teachers, and parents. Reproducible appendices are packed with tools for managing these essential tasks, all in a large-size format with lay-flat binding and permission to photocopy. SA10-320 Assessment for Intervention: A Problem-Solving Approach. SA10-317 A Guide to Collaboration for IEP Teams. With so many complex, challenging, and emotionally charged decisions involved, participating in an IEP meeting can seem like navigating through a minefield. But now there’s a practical guide to managing these meetings with a high level of awareness, safety, and confidence. Developed for administrators, teachers, resource professionals, and parents, this skills-based book will help you work as a unified team to design, review, and modify IEPs for children with special education needs. This resource fully addresses Effective meeting management. Discover how to promote and maintain the collaboration that leads to consensus. Highlight the characteristics of model IEP teams and meetings. Have a comprehensive guide to conducting successful meetings, from setting ground rules and managing time to planning agendas and accomplishing goals. Principled negotiation. Apply a proven approach to building consensus while minimizing conflict. Learn how to use team members’ underlying interests to move from competition into cooperation, while maintaining a strong and positive team spirit. The emotional side. Examine the central role of feelings as motivators of behavior. Learn how to turn strong emotions into powerful allies, and discover the simple keys that help team members communicate with respect and understanding, work through anger, and maintain diplomacy. Conflict prevention. Discover 25 clear, specific, and practical alternatives for resolving conflict before it escalates into debilitating tensions or legal action. Written in a user-friendly and conversational style, this much-needed book is supplemented with checklists, outlines, diagrams, and specific examples to make the complex simple. Incorporating the feedback and suggestions of hundreds of special education professionals, this book will be of invaluable help to you and your fellow team members as you work together to create the best possible IEPs for the children in your care. SA10-315 School-Based Crisis Intervention: Preparing All Personnel to Assist. SA10-323 Helping Schoolchildren with Chronic Health Conditions: A Practical Guide. SA10-322 Raising a Moody Child: How to Cope with Depression and Bipolar Disorder. SA10-321 Making the System Work for Your Child with ADHD. Even for parents who "do everything right," the road to successful management of ADHD is seldom smooth. Now leading child psychiatrist Dr. Peter Jensen guides parents over the rough patches and around the hairpin curves in this empowering, highly informative book. Readers learn the "whats," "whys," and "how-tos" of making the system work--getting their money's worth from the healthcare system, cutting through red tape at school, and making the most of fleeting time with doctors and therapists. Dr. Jensen interweaves the combined wisdom of over 80 parents with his own insights as an expert practitioner and the father of a child with ADHD. Packed with planning tips, resources, moral support, and problem-solving strategies that get results, this is a book that savvy parents will turn to again and again. SA10-319 A Mind Apart: Understanding Children with Autism and Asperger Syndrome. How do you know if your child is happy or sad, tired or hungry, when all he wants to talk about is wasps--or the color of subway train doors? What can you do to reassure a nine-year-old who asks questions about death hundreds of times in a day? And how can you build a nurturing relationship when your little girl hates to be touched? Questions like these make parenting a child with autism or Asperger syndrome (AS) a journey through uncharted terrain. That's why understanding how kids with these disorders actually think and feel--and the striking ways in which their minds work differently from those of typical children--is so important. Through moving stories of children he has worked with, Dr. Peter Szatmari helps you see the world through your child's eyes. Revealed is what lies behind the intense preoccupations, communication problems, and seeming lack of affection that often accompany autism and AS, and what your child's mystifying behavior might really be trying to tell you. This compassionate book shows how gaining a better sense of your child's experience can deepen the bonds that support learning and growth--and help you lead the way toward a happier future. SA10-317 Treating Troubled Children and Their Families. SA10-445 Parenting a Child with Asperger Syndrome: 200 Tips and Strategies. Asperger syndrome and high-functioning autism are detected earlier and more accurately today than ever before. Children and teens with these disorders often stand out for their precocious intelligence and language abilities—yet profound social difficulties can limit every aspect of their lives. This hopeful, compassionate guide shows parents how to work with their children's unique impairments and capabilities to help them learn to engage more fully with the world and live as self-sufficiently as possible. From leading experts in the field, the book is packed with practical ideas for helping children relate more comfortably to peers, learn the rules of appropriate behavior, and participate more fully in school and family life. It also explains what scientists currently know about autistic spectrum disorders and how they are diagnosed and treated. Real-life success stories, problem-solving ideas, and matter-of-fact advice on everything from educational placements to career planning make this an indispensable reference that families will turn to again and again. Designing Preschool Interventions: A Practitioner's Guide. This practical text delineates the basic steps of developing effective interventions for learning and behavior difficulties in children aged two to five. The authors set forth an ecological framework that stresses identifying problem situations rather than classifying individual children as disabled or at risk. The core components of naturalistic intervention design are covered in depth, including teacher and parent interviewing, classroom observation and functional assessment, team-based problem solving, strong accountability methods, and legal and ethical safeguards. Solidly grounded in empirical research, the book presents examples of successful interventions for fostering social competence and language skills and improving interactions with parents, teachers, and peers. VA05-33 Handbook of Disability Studies, The. This path-breaking Handbook of Disability Studies signals the emergence of a vital new area of scholarship, social policy and activism. Drawing on the insights of disability scholars around the world and the creative advice of an international editorial board, the book engages the reader in the critical issues and debates framing disability studies and places them in an historical and cultural context. Five years in the making, this one volume summarizes the ongoing discourse ranging across continents and traditional academic disciplines. The Handbook answers the need expressed by the disability community for a thought provoking, interdisciplinary, international examination of the vibrant field of disability studies. The book will be of interest to disabled people, scholars, policy makers and activists alike. The book aims to define the existing field, stimulate future debate, encourage respectful discourse between different interest groups and move the field forward. SA10-342 Homework Success for Children with ADHD: A Family-School Intervention Program. For children with ADHD in grades 1-6, problems with homework have been shown to contribute to academic skills deficits, underachievement, and significant levels of parent child conflict. This manual presents the first empirically supported homework intervention approach specifically developed for families coping with ADHD. Grounded in a solid theoretical and empirical rationale, the book provides detailed instructions for setting up the program, recruiting and selecting participants, and conducting each of the seven sessions. Practitioners learn how to implement specialized instructional and behavioral interventions to facilitate collaborative home school relationships, foster effective study skills and work habits, and enhance family functioning and children's self-esteem. The program can be used with groups of parents and children or with one family at a time. Special features of the volume include detailed case examples; checklists for monitoring the integrity of interventions; recruiting instruments and outcome measures; and helpful parent handouts. SA10-330 ADHD in Adolescents: Diagnosis and Treatment. Interventions for ADHD: Treatment in Developmental Context. Conducting Effective Conferences with Parents of Children with Disabilities: A Guide for Teachers. ADHD in Adolescents: Diagnosis and Treatment. SA10-383 Contested Words, Contested Science: Unraveling the Facilitated Communication Controversy. Functional Communication Training involves teaching children how to communicate those basic wants and needs that they now express through problem behavior. This book provides the practitioner with step-by-step instructions for implementing this effective approach. A variety of assessment strategies are reviewed and described to assist in determining appropriate interventions. Numerous case examples throughout illuminate both the assessment and intervention strategies. SA10-431 Planning Individualized Speech and Language Intervention Programs.